Halloween is on Monday. I hate Halloween. I used to enjoy it as a kid (of course), but instead of just becoming indifferent to it as a non-child-having adult, I've come to be annoyed by it. It seems like it's a bigger deal for adults now than it is for kids. 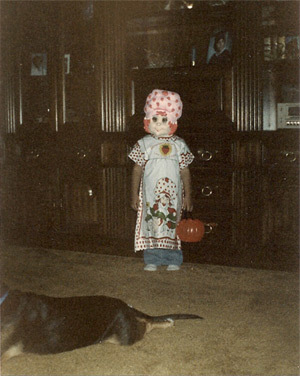 But before I start yelling at kids to get off my lawn, here are 5 costumes I wore as a kid.